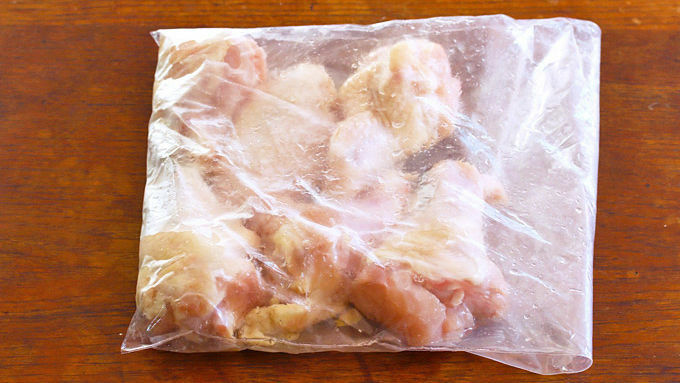 Place the drummies in a zip-top bag with the lemon juice and let them marinate in the fridge for at least an hour. 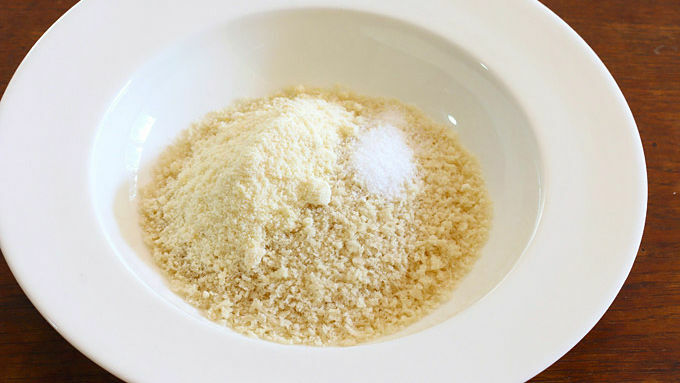 Combine the Parmesan cheese, panko breadcrumbs and salt in a wide, shallow bowl. In another bowl, add the beaten eggs. 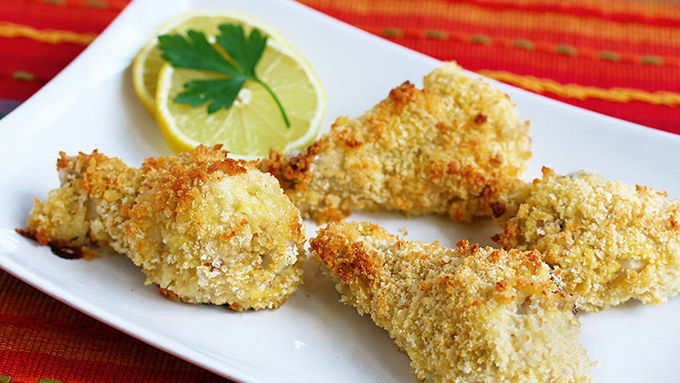 Dip each drumstick in the beaten egg and then roll them in the breadcrumb mixture, thoroughly coating them. Lay the drummies on a lined baking sheet and spray each one with a little oil. Bake drummies for 20 minutes, until just cooked through and the juices run clear when poked with a sharp knife. 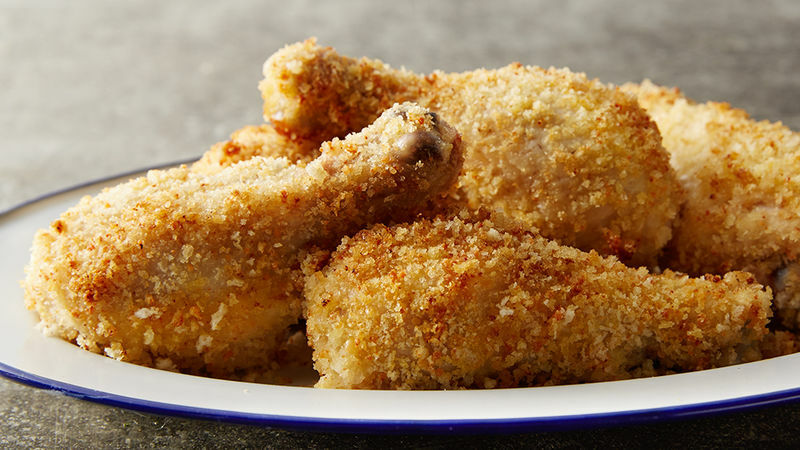 These crispy, crunchy oven-baked drumsticks are super easy and super delicious. I love it when you can spend 5 minutes throwing something together with just a few ingredients and enjoy a delicious outcome. These baked chicken drummies don’t get any easier, and they taste amazing! The drummies are first marinated in lemon juice that not only makes the chicken meat more tender and juicy (yes, please! ); it also gives the chicken a nice zing of flavor (I like it!). 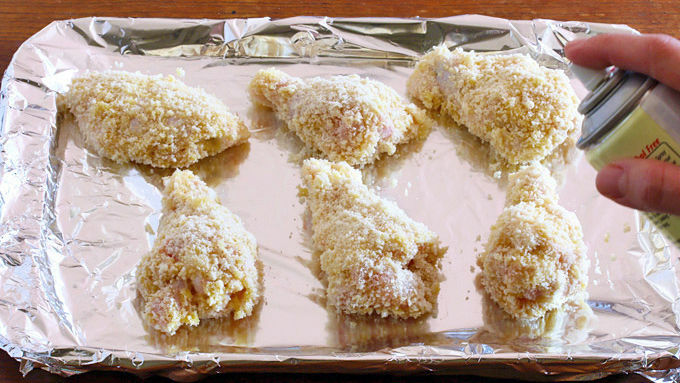 Then they’re dipped in egg and rolled in Parmesan-seasoned panko breadcrumbs and baked in the oven to crispy perfection. That’s it – super easy but tons of flavor! And you can either use drumsticks or go with drummettes for a fun party appetizer.